Carlos Capellan started off 1991 slow. By late-May, he was hitting just .229, The Orlando Sentinel wrote. But in one game, he improved that average with three hits. He also knocked in two as his Orlando SunRays went on to a 12-3 victory. Capellan went on to hit .241 on the season, his fifth as a pro. That season, though, would be his last full season in affiliated ball. He never made the majors. 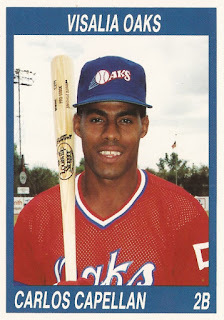 Capellan's career began in 1987, signed by the Twins as an undrafted free agent out of his native Dominican Republic. He played his first season at rookie Elizabethton, hitting .261 there, knocking in 31. He moved to single-A Kenosha for 1988, hitting .244 over 113 games. 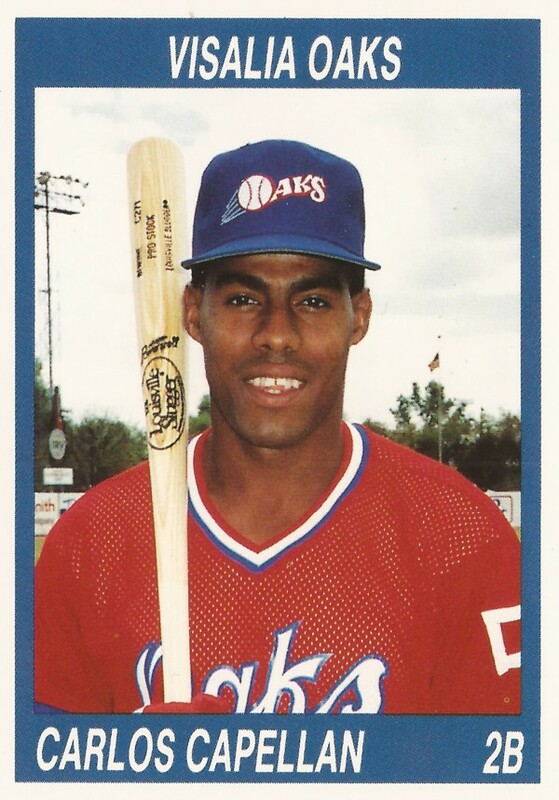 Capellan made single-A Visalia for 1989, returning there for 1990. He hit .261 his first year in the California League and .284 his next. In August 1990, The Los Angeles Times wrote a feature on the California League that included a brief description of clubhouse roughhousing, where Capellan ran into a fire extinguisher. The article didn't say if Capellan lost time, but he did only get into 105 games that year, as opposed to 140 the year before. For 1991, Capellan made AA Orlando, getting into 117 games, hitting that .241. Along the way, Capellan knocked a double and scored in a July game and picked up two hits in a late-July game. Capellan's 1992 season, though, was brief. He got just four games at AA Orlando, then 11 at high-A Baseball City with the Royals. He then isn't recorded as playing again until 1996, for independent Palm Springs. He got into 44 games that year and 54 the next for independent Greenville, ending his career.